I've experienced the passing of my 23 year old son. I know grief. I've lived with it for the past several years of my life. What I've realized is that grief can be a thief, if I am not diligent to the inner workings of my mind. Grief is not something we experience on a day in and day out basis. Typically we experience moments of grief such as a divorce, a major life change, or the timely or untimely passing of a loved one. I once heard that grief is not just one emotion, but it is several emotions that can be experienced at any given time. I am a dedicated student of my Spiritual Nature, made in the likeness and image of my Source. I believe in the Laws of the Divine and Universe. My journey of grief has taught me to acknowledge and accept that Divine Timing is constantly work. I may not want to believe those Universal Truths, but my lack of belief doesn't change the Truth that is -no more than even if I didn't believe in gravity. Regardless of my belief, gravity would continue to be and exist. Finding comfort and peace is a wonderful alternative to the other end of grief. If you are seeking relief from your grief, you might start this journey back into your heart by asking the question... what if? What if my loved one and I planned this way before we are ever born? What if there is more to things than I currently see? There are so many What if questions one can ask, which can truly change the face of grief. The key's to asking these what if questions are to lead you away from the mind, and back to your heart, the seat of your soul. What if can lead you to a better place than Why? Why may take you the rest of your life to uncover. When we ask Why it simply does not empower us to growth. Hypnotherapy is so useful in helping us uncover some of the "what if" questions. In a safe, loving and warm environment, we slowly explore the inner dialogue that propels the sad or perhaps angry feelings associated with grief. 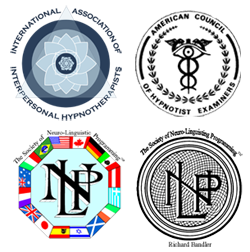 By using the tools of hypnosis, we enter into a state of physical and mental relaxation. In this relaxed, somewhat meditative state, we can connect with the inner mind, the subconscious mind, the knowing mind, and we can begin to gain new insights into our current day experiences. Through the subconscious mind, we can peek into the One Mind. I've had some tremendous experiences with hypnotherapy and grief which have left me in a state of complete knowing that my son continues on and is always with me. It is my deepest belief that we go forward from this life, much like a new birth. Those who leave are free from the constraints of this human life. 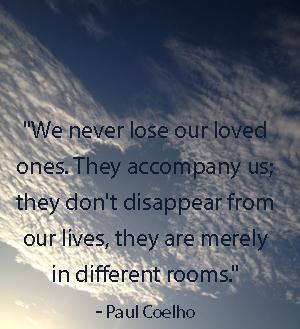 Those left behind are faced with finding the coping skills to manage life in the physical absence of our loved one. In my heart, I truly don't believe our loved ones want grief to be a life-long sentence of perhaps anger, or pain, and suffering. 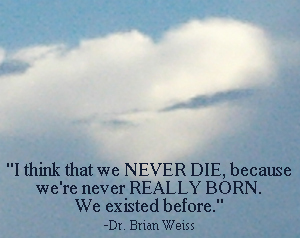 One of the most helpful coping mechanisms I can share is the examination of our internal beliefs around death. Most of our belief systems became part of our subconscious mind by the age of 10. What our parents, teachers and upbringing instilled upon the inner mind is most of what is operating the subconscious mind today. It is the silent beliefs which drive the emotions we experience. Uncover the beliefs, through Grace shift those beliefs and experience peace. Exploring my beliefs about death gave me the keys to true inner peace. Part of my peace has first come through the intentional choice of not living in darkness and despair, as I whole heartedly believe I am dishonoring my son's life in doing so -and so, I celebrate his being, knowing fully he continues as spirit. Secondly, I make choices about my thoughts. I chose not to get lost in the rabbit hole of grief, it is a dark place. One of my mentors said to me "Christine you did not lose your son, you simply lost the way you were used to communicating with him. He is always there, always beside you." Learning how to discover and find the new ways to speak with him has brought me more peace than I ever thought possible. Intuition is not a special gift given to some, it is given to all. It is our choice to discover and develop these sacred gifts. As an intuitive being, I invite you to discover your natural intuitive ability. It is there for you and is one of your greatest tools you can discover to help shift you from grief to grace. What if this was the best thing that could have ever happened for your loved one? What if their mission here on earth was complete? Would you want to stop them from moving forward? What if there was a spiritual contract between your souls for lessons yet undiscovered. If you would like assistance is finding the path from Grief to Grace, I invite you to contact me and together we can make the journey from Grief to Grace. The images above were taken by me, the first one, was shortly after my son passed. I asked him for a sign, a hug, a message. While driving with my friend, this cloud beamed from the sky. The second photo was recently taken at this year's memorial on St. Pete Beach in the early morning hours of sunrise. Walking onto the beach I had asked my son for that sign of hope to make the day easier, and he so graciously responded with another beautiful heart cloud - as if his hands formed the heart for us. The power of belief - you can't make this stuff up.